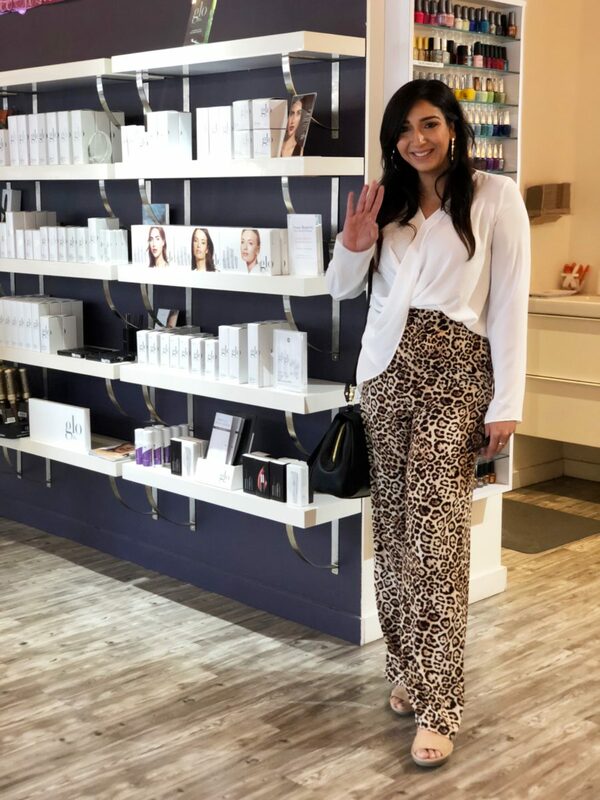 Forget Diamonds, I think Spa Days are a girl’s best friend! 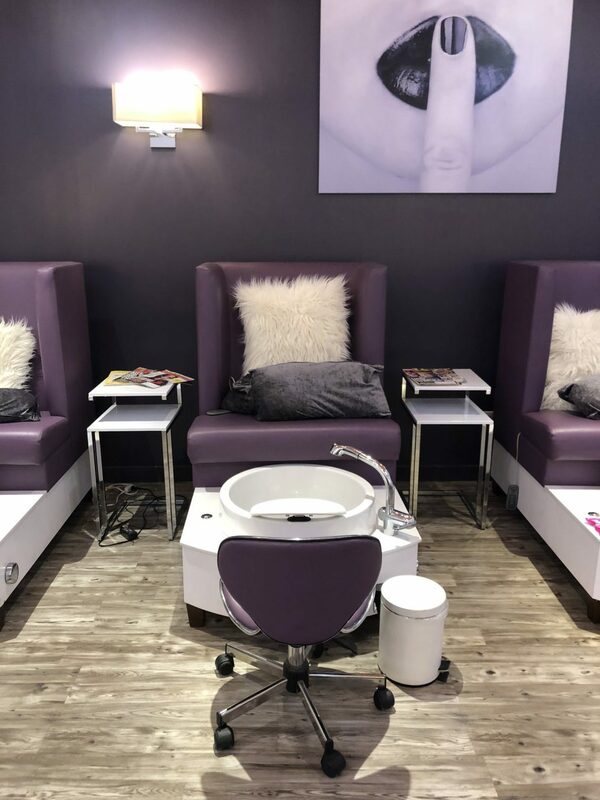 I recently had the most luxurious and relaxing spa pedicure experience at the Fringe Salon in Chicago and honestly I feel my week is already better for it. 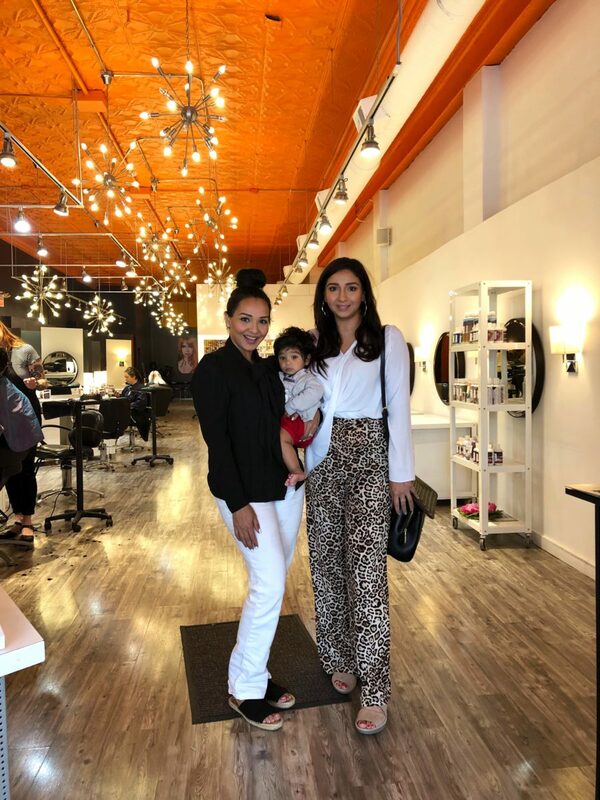 Me and Sana – my fabulous sister (& bestie) and lil miss Noori were graciously invited by Fringe Salon to experience their iconic spa pedicures at their beautiful location in the heart of Wicker Park in Chicago. We chose Saturday Afternoon to beat the week day crazy Chicago traffic, and get there in plenty of time to enjoy a little walk of the neighborhood afterwards. Even though Parking in this area can be challenging, we got lucky and got a place right across the Spa. We were greeted by a very welcoming receptionist who checked us in and offered us beverages without any wait. Even though there were a lot of people in there, the place looked huge & spacious as they had made excellent use of their high ceilings and open structure. 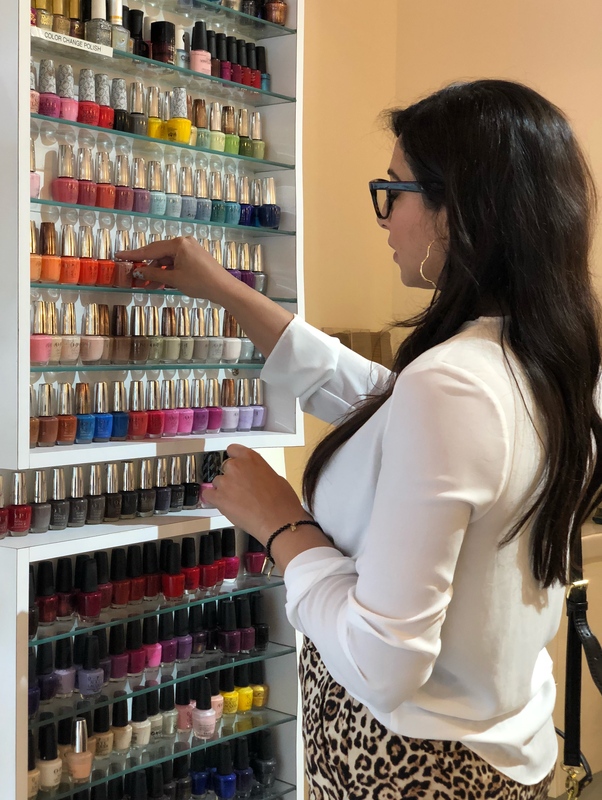 We were shown where to select our pedi nail colors – I love how organized the nail polish area was, which made the daunting task of choosing the right color (out of like a 978 ) a breeze! 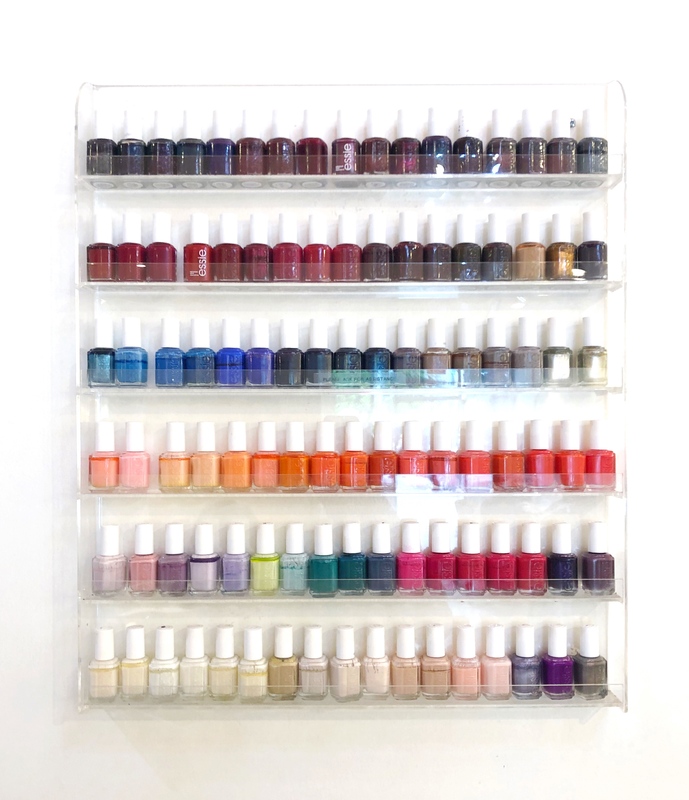 We were then promptly ushered to our pedi stations and greeted by our talented nail techs Irene & Evelyn. 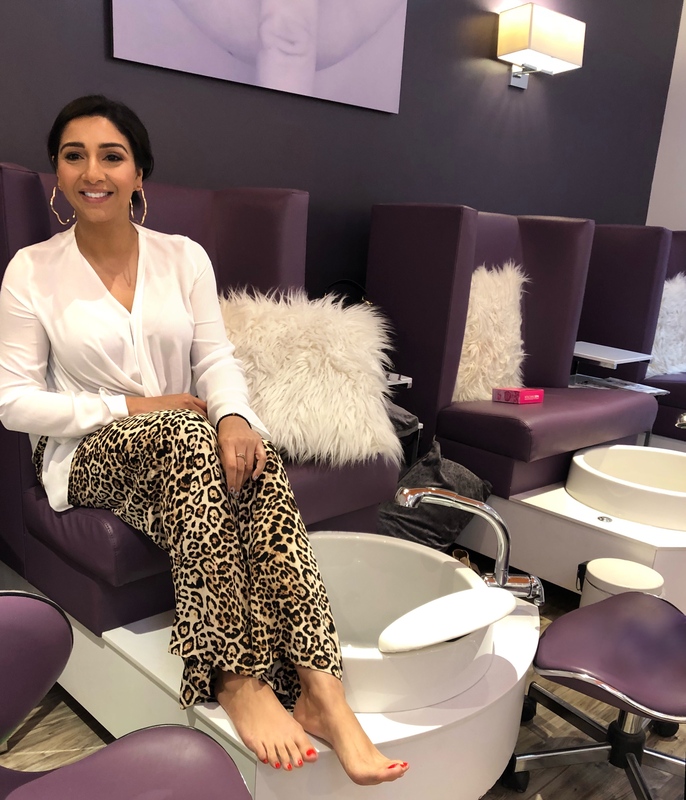 Sana chose the Jelly Pedicure and she oohed & aahed when she felt those jelly beads at the bottom of the Pedicure bowl. I now totally want to try it as this beads are full of moisture as Irene explained to us and the longer the feet stayed in the water, the more hydrating it was for the skin. 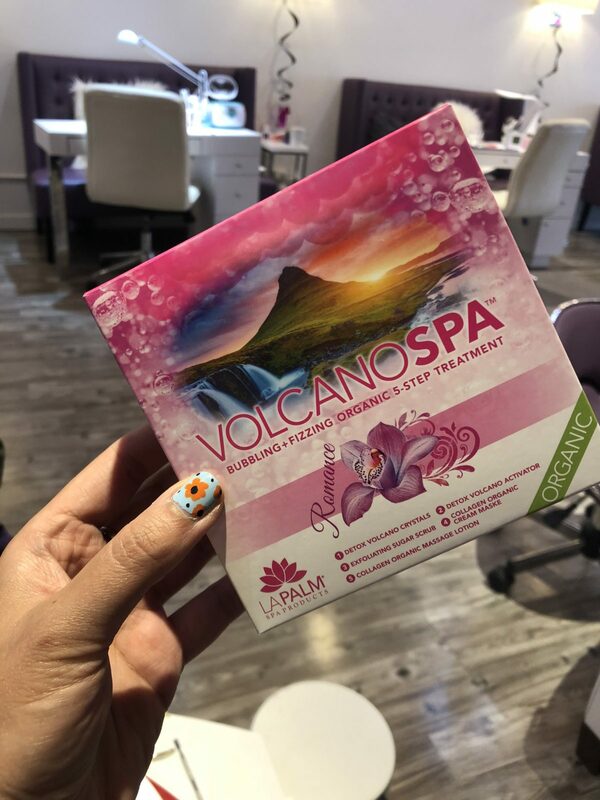 I chose the Volcanic Pedicure and was super surprised when Evelyn poured the tiny package of Volcanic essence into my pedi bowl and the water just because fizzy and bubbly and dare I say ‘festive’ ! 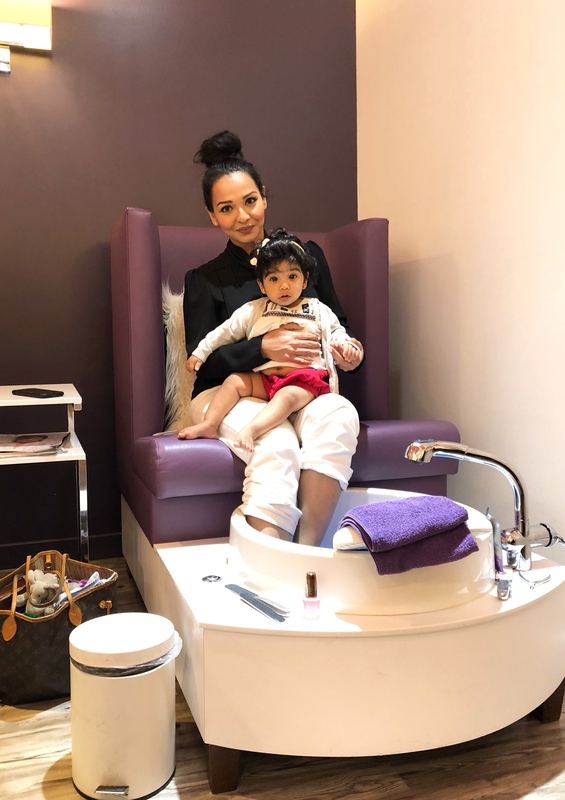 I loved how expertly my nails were shaped, cuticles trimmed and calluses removed. My feet were covered with a mask and then wrapped up in steaming towels followed by a very very relaxing foot & leg massage. Im so glad I chose the bright cherry color by OPI ( I was so zoned out that I forgot to copy the name of the color). This shiny bright color will be a perfect compliment to those summer sandals. 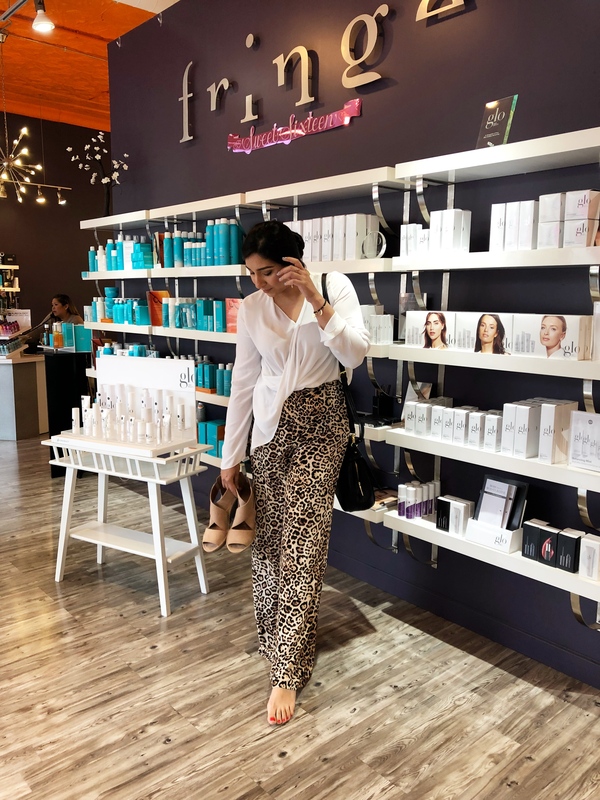 All in all, we had the most wonderful time with the services and staff at the Fringe Salon in Chicago and would highly recommend my Midwest gals to check out their full list of services here ! And follow them on Instagram here !